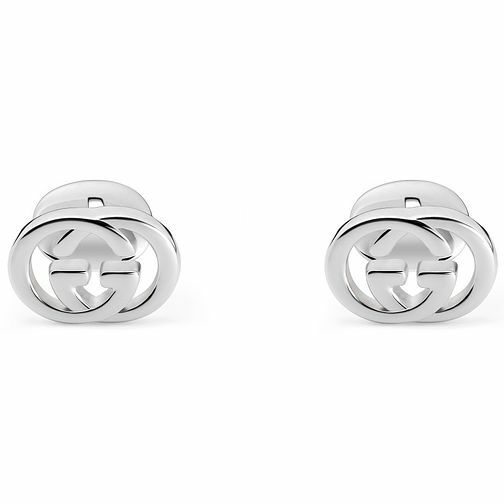 A pair of sleek polished sterling silver Gucci cufflinks, featuring the iconic Gucci logo. Versatile and stylish, this pair of cufflinks would make a perfect, luxurious gift. Gucci Sterling Silver Cufflinks is rated 5.0 out of 5 by 2. Rated 5 out of 5 by Anonymous from gift for boyfriend Lovely cufflinks, would definitely recommend as a gift. Rated 5 out of 5 by Anonymous from Absolutely Gorgeous I wanted to buy my boyfriend something really special and something I knew he would really like for valentines day. He had mentioned cufflinks so I did a bit of searching and came across these Gucci cufflinks. They looked like the type he would wear. I purchased them.and I'm so glad that I did as they are absolute stunning and he is one happy guy! !